There can be few directors alive today more familiar with William Shakespeare’s works than Sir Richard Eyre. A multi-award-winning director of film, television, theatre and even opera, Eyre has been behind high-profile stage productions of Hamlet and Richard III and also helmed TV versions of Henry IV: Part One and Henry IV: Part Two for the BBC’s The Hollow Crown, a five-film adaptation of multiple Shakespeare plays. His most celebrated Shakespearean work to date, however, is surely his 1998 stage version of King Lear, starring Ian Holm. The production earned Olivier Awards for both Holm and Eyre, and now the director will be hoping for similar acclaim for his screen version of the tragedy, which airs on BBC2 in the UK next week and launches later on Amazon, which co-financed the film. 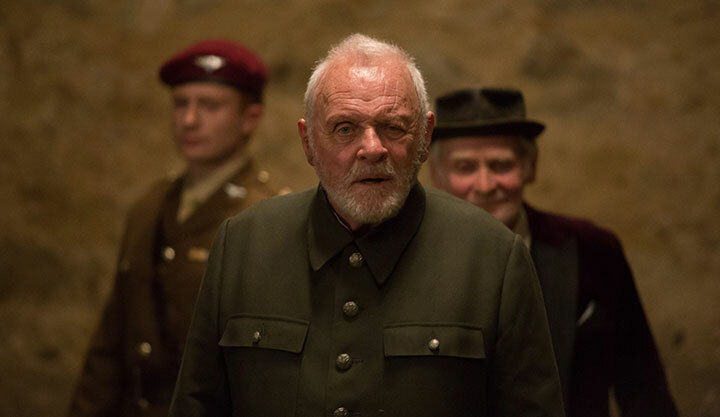 Leading the cast this time around is Sir Anthony Hopkins as Lear, who slowly descends into madness after disposing of his kingdom among his daughters. 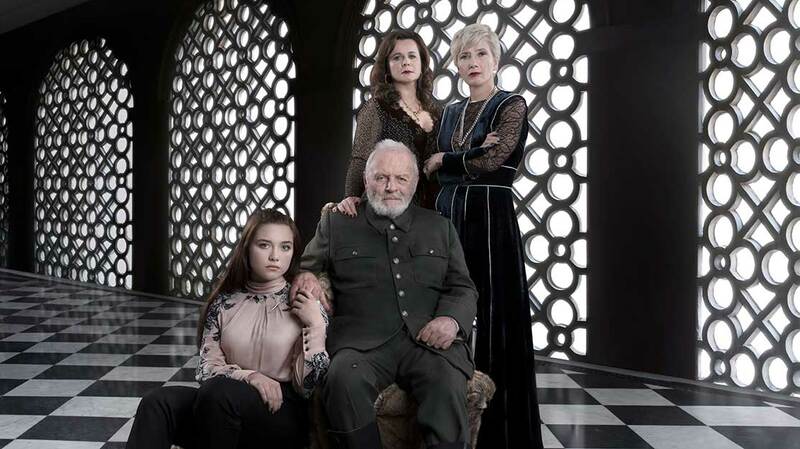 The talent-laden ensemble also includes Emma Thompson, Emily Watson and Florence Pugh as Lear’s daughters Goneril, Regan and Cordelia respectively; Jim Broadbent as the Earl of Gloucester, whose sons Edgar and Edmund are played by Andrew Scott and John Macmillan; and Downton Abbey’s Jim Carter as the Earl of Kent. 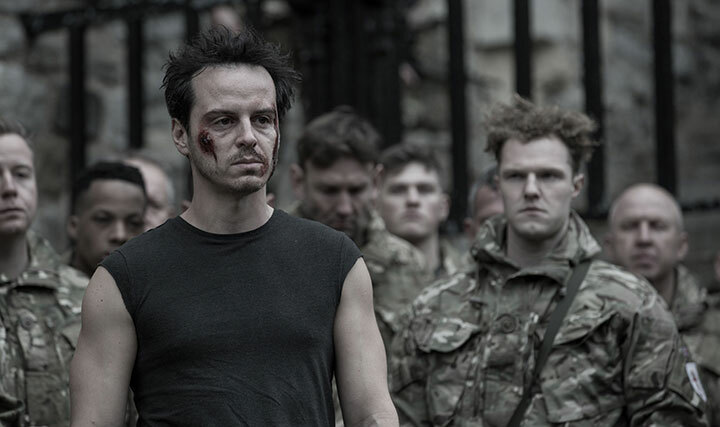 The first thing viewers tuning in at 21.30 on Monday will notice is the one-off film’s decidedly un-Shakespearean setting, opening as it does with an establishing shot of present-day London with 95-storey skyscraper The Shard front and centre. However, the Bard’s unmistakable dialogue from the 1605-penned play remains intact. As for why he was keen to return to King Lear 20 years after his theatre version, Eyre’s reasoning is straightforward: “I think it’s the best play ever written, and I’ve felt that for about 35 years. 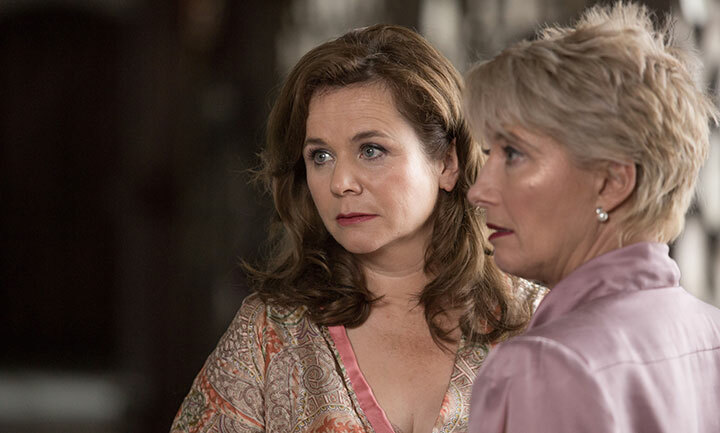 Bringing such a revered and challenging property to the screen was always going to demand a cast with serious acting chops, and producer Colin Callender of Playground Entertainment says he was delighted with the line-up put together for the show. “The ability to bring a play like this to the screen enables us to assemble a cast that you would never ever see on stage together, and it’s a testament to Richard that we were able to put together such an extraordinary ensemble,” he says. The choice of Hopkins as Lear, meanwhile, was a no-brainer – but that’s not to say it was simple to secure his services. The process can be traced back to when Eyre directed the actor in the 2015 BBC/Starz film version of Ronald Harwood play The Dresser, which also starred Ian McKellen. The story is set in the backstage area of a production of King Lear, which led to the pair discussing the Shakespeare play. Multiple emails back and forth between actor and director followed, with Hopkins busy with projects such as HBO drama Westworld. The pair talked “more or less everything King Lear” before, two years later, rehearsals finally began – and Hopkins didn’t disappoint. The actor’s performance as an increasingly bewildered and dishevelled Lear was apparently so convincing that he was mistaken for a homeless person during filming on location in the UK town of Stevenage. “A woman in a mobility scooter scooted up to Tony and said, ‘You know, there’s a hostel for the homeless up the road, so you might want to take your shopping trolley down there,’” Eyre recalls. 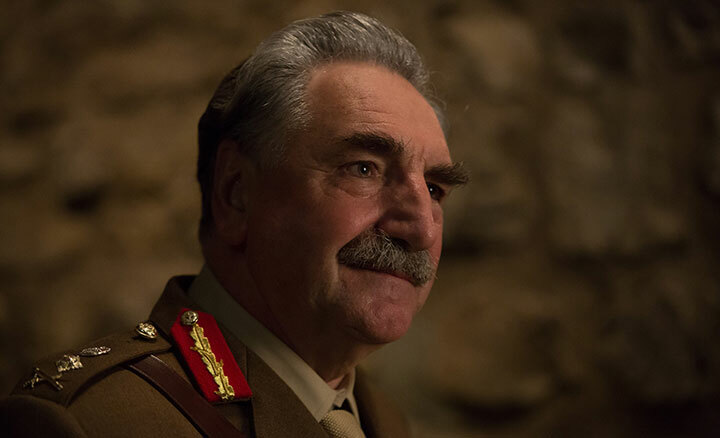 Co-star Jim Carter, best known for playing butler Mr Carson in Downton Abbey, concurs, believing it’s crucial that Shakespeare’s works continue to be adapted for the small screen. “Having it in people’s living rooms, bringing it to people at home, rather than people having to make the effort to go out and see it, is hugely important,” he says of the drama, which is distributed internationally by Great Point Media.